I get so much use out of this white tunic. It goes with everything and it is the best for layering, It is super long in the back which is one of my favorite things about it. I love wearing it with leggings. It comes in a bunch of colors. I have it in 3 colors. Also, these jeans! I love my AG jeans. I have a few pairs and they are really the main jeans I wear. But I wanted to try a less expensive pair without rips in them to wear with boots. I love these. They fit so well. I am wearing a 25 which is my usual size. Thanks for stopping by. I hope you all had a great weekend. Looking so pretty in this casual outfit! I like your boots and scarf very much! 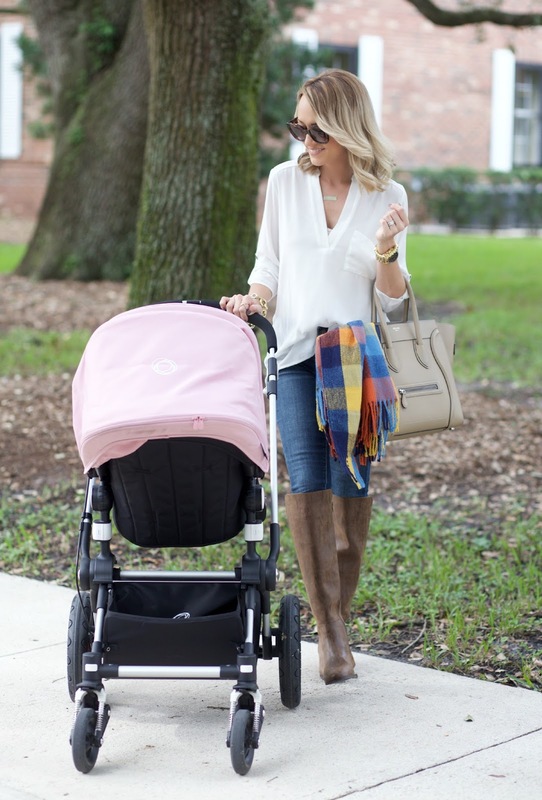 This plaid scarf is perfection! Gorgeous pics! I LOVE that top and the scarf is so cute! Love these boots, you look so pretty in these pics! So simple, but so perfect! 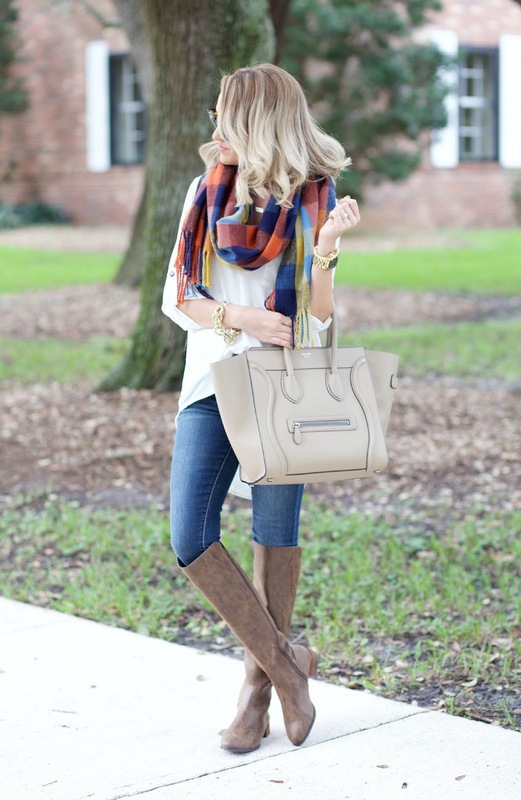 I love the colors in that scarf! Love those boots! They are perfect for fall! 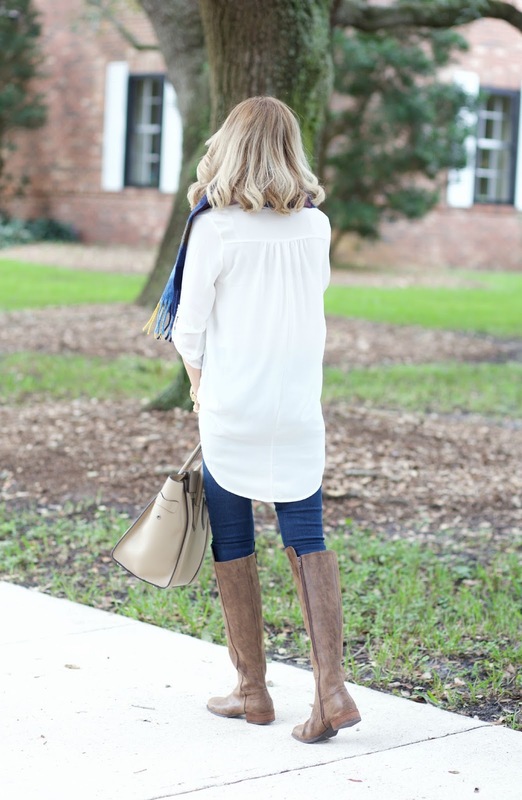 Such a cute fall look.. Loving those boots!! I love this tunic! You look beautiful!! I bought this scarf last year! Love your flawless fall styling! came across your blog for the first time and I'm loving this! 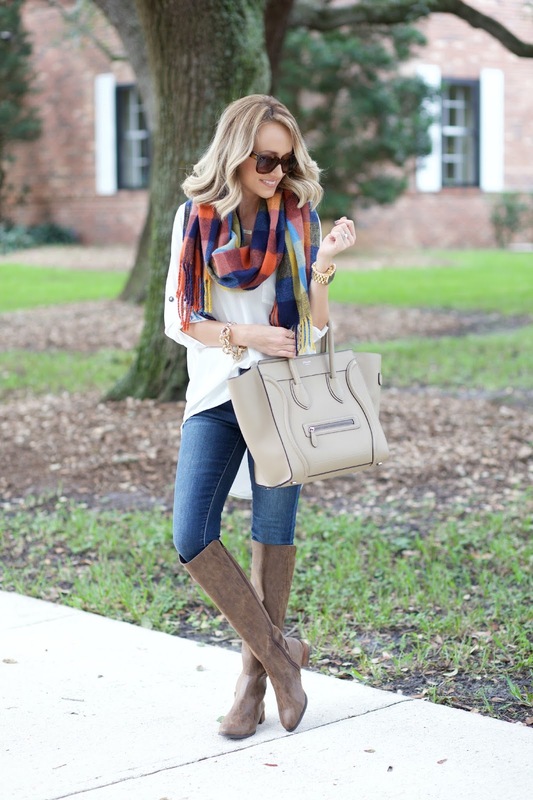 Love the scarf and the whole look is so chic!